A very Merry Christmas and Happy Holidays, from our house to yours! I have not participated much this year, though I always peek in to see your photos...scrumptious as always! Wishing you a Merry and Blessed Christmas! 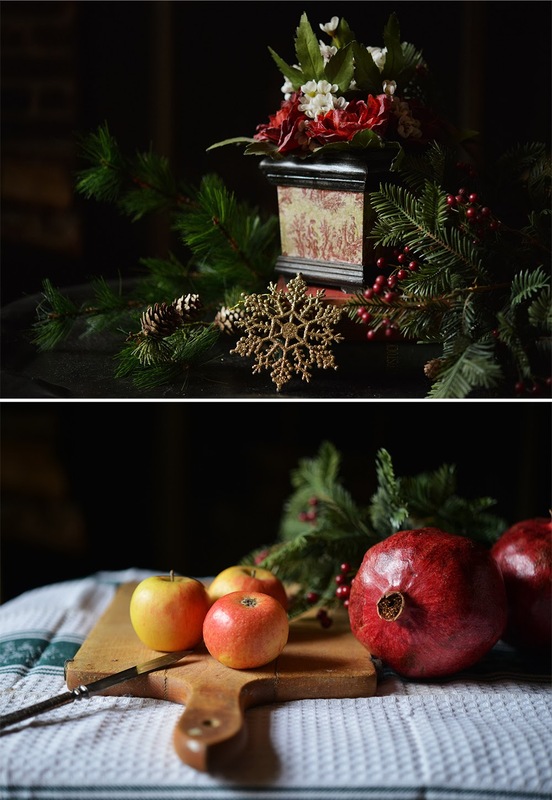 Your images today are aglow with the bounties of the season, naturally beautiful and nutritious, they seem the perfect models for a still life, to be painted in the warmth of a light filled studio, in the quiet of the season. Thanks for hosting this wonderful gathering every week; I always look forward to participating as well as seeing what everyone else is up to! It's been wonderful. Wishing you and your family a joyous Christmas and all the very best in the new year! Lovely mosaic and images, Mary! I have enjoyed visiting your blog thru-out the year. Thank you so much for hosting Mosaic Monday. Wishing you and your family a very Merry Christmas! Just so lovely Mary. I always love your shots the light is awesome and such pretty things too. Beautifully done. Perfection in still life, dear friend!!! You are a continual blessing in my life!!! Your mosaics are always wonderful. I don't always participate but have a mosaic I just made for the holidays that I would like to share. Thank you for hosting and I will look forward to more Mosaic Mondays in the new year. Happy Holidays and Merry Christmas! You always set the scene so beautifully for us. These images are quite magical! Thank you for hosting "Mosaic Monday" all through the year for us, I always look forward to scratching around to get a little mosaic together! I think I look too hard for things to photograph whereas you've shown that ordinary things around the home can be beautiful when put together. I've always enjoyed it when you share books as part of your photos and mosaics too. Thank you for hosting, I'm a newbie! Looks like your MM will be a lot of fun. Merry Christmas Mary and thank you for your all-year-long gifts of this meme and of your own beautiful posts and pictures. Wishing you the merriest of Christmases. I'm not participating this week, but stopped in to wish you and yours a very merry and blessed Christmas. Your photos are beautiful, as always. Thanks for hosting this great party, Mary. Here's wishing you a peaceful and joyful Christmas. I love your image of the pomegranate in the white dish - like a classical painting. And I just love pomegranates anyway! Thank you Mary for bringing us all together for Mosaic Monday over the past year. It is the perfect way to start the week. Wishing you and yours a safe and happy Christmas and all good things in 2014. 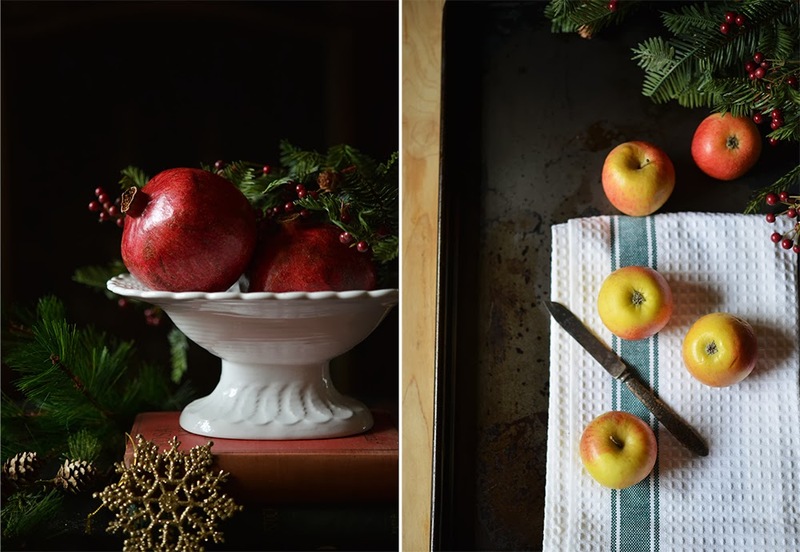 Very pretty still Life photos! Nothing to share this week, but wishing you and yours a Very Merry Christmas!! Hi again, Mary. I changed my mind and did put up a post this week. This is such a great linky party. Merry Christmas! And thank you for all of the fun parties this year! Holiday hugs from Florida! The lighting in your photos is superb! Merry Christmas, Mary! Your photography is just so darned classy! I'll be joining your linky party again now that Winter has slowed things down again! I do love a good mosaic and this is the best place ever!! Merry Christmas, Mary! Thank you for hosting Mosaic Monday every week! 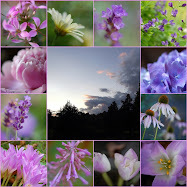 Always enjoy linking up to Mosaic Monday, beautiful photos. Merry Christmas to you! Fabulous images..... and thank you for hosting! Wishing you a Merry Christmas and wonderful New Year! Serene! Thanks for hosting each week. MERRY Christmas to you and yours! Thank you, Mary, for hosting this link every week. Your photos are inspiring, and this week's pictures glow like old still life paintings. Merry Christmas to you and yours! Have a Merry Christmas. Thank you for hosting Mosaic Monday this year Mary. I look forward to joining in each week. Very much appreciate the work you do to keep it going. Very lovely and moving photos. Merry Christmas to you Mary and your family! Merry Christmas and all the best in the new year. May the New year 2014 be a wonderful year for you. Hi Mary, this is my first time here, thank you for hosting this! Your pictures are absolutely stunning. Merry Christmas. Mary, your images are just gorgeous! I love the lighting and the color... everything! Mary, this is stunning! I really do enjoy your photography. Merry Christmas! So much talent! ANd where do they get the time to do it all. That is what I need more of - time! Your still life photography always amazes me. Very beautiful!